As per the conventional definition, a performance review is a managerial tool to assess, manage and enhance employee performance. But a better definition that fits more into the contemporary corporate culture would be to consider a performance review as an ongoing dialogue between managers and their employees to make sure they are on the same page in terms of objectives, expectations and results. Yearly appraisal is a turning point in the career graph of an employee. He invests so much hope in this event that it translates either to pre-evaluation anxiety or post-evaluation dissatisfaction. When appraisals are transformed into an ongoing process, it dilutes the emotional content associated with the appraisal event and pacifies the environment, thus reducing the chances of disputes. The trend of favoring on-going performance reviews to periodic appraisals is increasingly gaining ground because managers are more focused on assessing an employee on attitude rather than skills. For instance, for a team leader, a sense of empathy towards his team members is more valuable than surpassing sales targets from a long-term perspective. Since attitude is more of a subjective term, it can be better evaluated with frequent feedback. 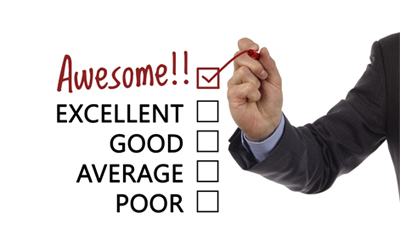 Another advantage that ongoing reviews have over yearly appraisals is that since productivity is being evaluated for a month, it’s easier to remember and document the employee performance in finer detail on various parameters. Providing honest, frequent and timely feedback to employees thicken the chances of identifying his shortcomings and leveraging his strengths to enable a constant improvement unlike yearly appraisals. Thus, ongoing reviews act as a more efficient framework to provide management with a tool to keep performance on track and maximize productivity. Moreover, these meetings also help the management to strengthen the bond and earn the trust of the employees. Making continuous feedback a part of your managerial style might sound painful, but if done right it makes the whole evaluation thing easier and much more effective. Management can use ongoing reviews to streamline the periodic goals and expectations for individual employees and the department and further aligning those goals with the long-term objectives of the organization. All you need to do is see the performance factors that are important to you and determine how you will monitor and measure the performance of employee. Performance reviews should be more like a regular conversation between manager and their employees over periodic intervals of time such as once a month. Further, ongoing feedback can be more forward looking, focusing on improvement rather than focusing on criticizing and discouraging the employee. This new management tool has emerged as an alternative to the traditional year-end review system. As a matter of fact, if done right, it will help increase productivity, build work relationships, and strengthen the annual performance appraisal cycle and make it more efficient and effective. At the same time, it will drive employees towards higher productivity and continual betterment.